Search and find out more about beautiful waterfront properties. View all Tampa Bay luxury homes and communities. Get a great deal on a home when buying a foreclosed property. View all foreclosures in Tampa area matching your criteria. Get home value estimates. FREE Home Values for Tampa. See communities in Tampa Bay while browsing our city map. Get info on new homes in Tampa. Watch new construction video. 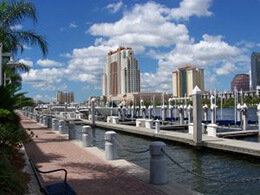 View all condos in South Tampa, including luxury and waterfront. Tampa real estate with video tours, photos and detailed listing info. Free Home Sellers Webinar: "Tips & Secrets That Will Make You A Lot More Money"
Sell Your Home For Maximum Profits! Find the most accurate and up-to-date Tampa real estate information and MLS listings so you can find the perfect home faster with Lance Mohr & Team. We’ve segmented specific Tampa communities and home buying categories so you can find your home faster. Whether you’ve chosen a specific Tampa neighborhood, dream of waterfront property, or want to live the high life in a luxury home, we help take the stress off finding and buying a home. When you call Lance Mohr & Team, you’ll get all the real estate information you need to make an informed decision. We provide up-to-date reports on the Tampa communities and neighborhoods that interest you, complete with features, amenities, information on local schools, activities. Our expertise spans the entire Tampa real estate market, including unincorporated areas of Hillsborough, Pasco, and Pinellas counties. We’ll show you how easy it is to find a home that is close to your job, provide relocation tips, discover the best schools, and help you find the doctors, hospitals, and businesses you visit regularly. Lance Mohr & Team are licensed Tampa, Florida real estate agents who know how to explore Downtown Tampa and Ybor City to make the most of the gorgeous Florida sun. 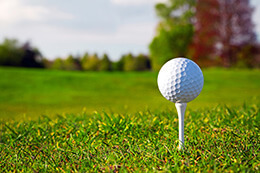 We can help you discover the wide variety of recreation options and the newest upscale Tampa real estate developments. Watch our extensive list of real estate videos to learn about all the ins and outs of real estate that most agents don’t tell you, probably because they don’t know. Increase your real estate knowledge and register for our semi-weekly Tampa real estate webinar. Call us today at (813) 317-4009 or send us an email. You'll know you made the right choice when looking for a Tampa real estate agent. "We want to thank you for assisting us in finding our house. You were always professional, and eager to go house hunting. You provided us with plenty of options in this market and we never felt pressured to buy quickly. We plan on buying more rental properties in the future and will always use you as our Realtor. I have already recommended you to friends and clients. Laura Spaulding, Jennifer Dobies (Land O' Lakes)"